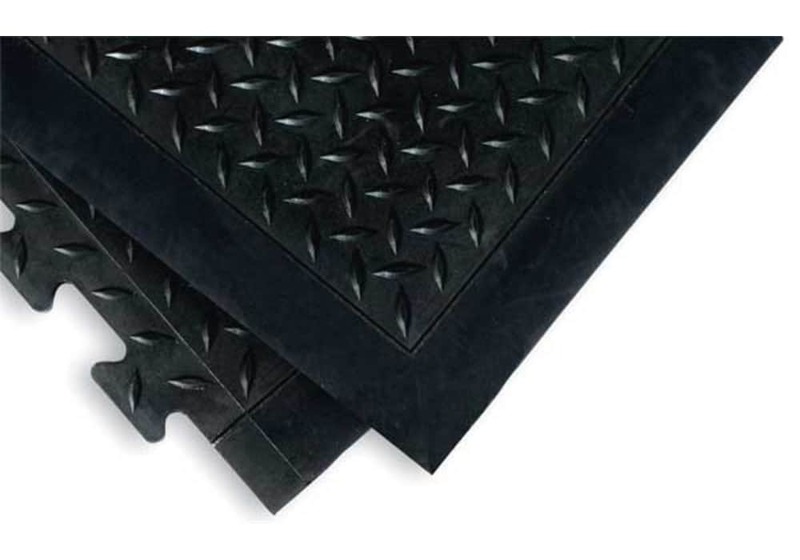 Modular Rubber Anti Fatigue Mat System. Connect to Make Any Length. 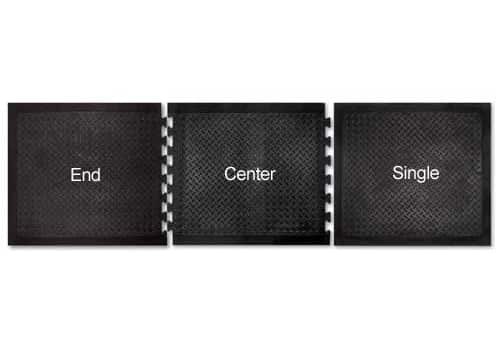 Modular, expand mat size. Diamond pattern. Grease & oil resistant. 100% rubber. Our Cushion Foot anti fatigue mats are made in America. 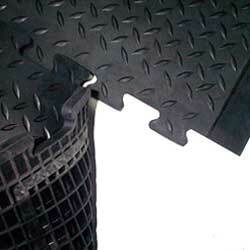 They are ergonomically structured rubber mats that provide exceptional comfort and durability. They are also grease and oil resistant. Available modular design provides versatility for a variety of workspace configurations and assembles quickly and easily. 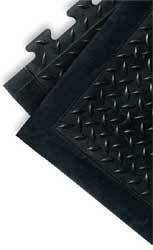 Popular diamond pattern surface provides an attractive, non-skid work area. Beveled edges increase safety by reducing tripping and slipping. Recommended uses include: Industrial work cells, registers and check out counters, service counters, shipping and packaging work cells. 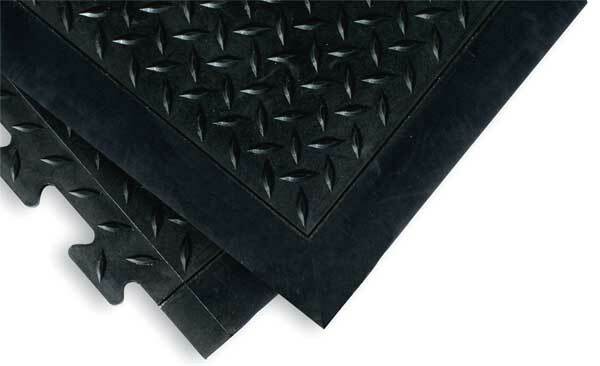 Ergonomically structured rubber mat provides exceptional comfort and durability. Popular diamond pattern surface provides an attractive, non-skid work area. Beveled edges increase safety by reducing tripping and slipping. No custom mat sizes available.